Remember a while back when I mentioned that I was playing with story structure? I decided I would take a similar character/plot/theme and explore one or all of these in two forms, as a realist short story and as a fairy tale. Well, here’s the fairy tale part. Okay, it turned into a bit more of a ghost story/fairy tale hybrid. But, I figure this is the appropriate season for that. There was once a town full of too much death. 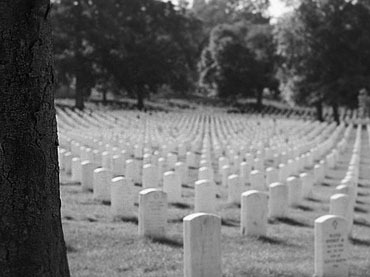 Many blamed the war—how it had called so many of the young men away in their army greens and returned them in black caskets. Others blamed the typhus epidemic that gave one-third of the town’s residents coughing fits, chills, and delirium until it finally swept them into darkness. It was a small town, not far from Naples, not more than a village, really. The dead began to outnumber the living and the residents worried over their tremendous losses. On a particularly solemn Monday, the mayor of the town gathered the residents into the main square and made a proclamation that fell heavily on everyone in the audience, especially on Giovanni, an elderly typesetter nearing his seventieth birthday. Mayor Cesare cleared his throat and looked out at the crowd. He was met with the silence of those awaiting important news. “I need not remind you all of this town’s great loss. I see it in your down-turned eyes, in your slouched gait, that you feel as acutely as I do what has been taken away from us. Like most of this great continent, death has blanketed our humble town. I can’t say that this darkness will be lifted anytime soon, but I can say that we must continue to persevere. It is our duty as citizens of Italy, our great and beloved country, to move ever forward, even in the face of death.” The mayor paused, turned and spoke to an aide. “What is happening, Grandfather? Why does Mayor Cesare speak like this, like he has more bad news to tell?” Giovanni’s granddaughter Rosanna stood beside him. She held his arm to support him. He refused to use a cane even though his hip and knees were bad, but he never asked Rosanna for her help. She gave it in silence. Rosanna thought of her family: her younger sister, dead in the first wave of the typhus epidemic two years earlier; her father and uncle, both died in the war, her uncle too old to fight but did it anyway, for his country; her grandmother, Rosa, passed before she was born; and her mother, who died in childbirth with Rosanna’s sister. They were all buried here in the cemetery, only one mile from the home Rosanna and Giovanni shared, the only two left of the family, the two left to bury the others. The crowd murmured, someone shouted an obscenity, a woman fainted. “Thank you. That is all.” Mayor Cesare left the town square immediately, without addressing anyone as he hurried back to his office. The heat that day was thick, gelatinous. Rosanna looked around the square and watched the townspeople, stuck in place. “What does this mean, Grandfather? Can Mayor Cesare really do that, really expect the impossible from us?” Rosanna walked beside her grandfather as the crowd slowly disbanded. Rosanna spent many afternoons in the cemetery. She found peace in the quiet landscape, in the neatly manicured grass, and the rows of headstones. But today, it was not peaceful in the cemetery. Most of the crowd from the town meeting had moved to the cemetery, herded there by some unseen shepherd. Some were there to pay their respects to the dead; some had not visited the cemetery or their loved ones in years. Others were there to survey the land and argue with each other over possible solutions. As Rosanna listened, surrounded by the headstones of her family, she thought of what those arguing were too afraid to say: now that death was forbidden, it was all anyone could think of. Rosanna did not fear death; it had become too prevalent a force in her life to fear it. It returned to her family so often, death felt like a relative, like the uncle who shows up for family dinners even though nobody invited him. She understood death to be a natural succession of life. She was happy when death finally took her sister, relieved that she no longer had to suffer. She understood when death took her father and uncle; they had died fighting for a cause they believed in. Rosanna knew it wouldn’t be long before death circled back for her grandfather. His poor vision, memory loss, and arthritic hands had forced him to close down his typesetting business. She often heard him coughing in the night, not the cough she remembered hearing when her sister’s lungs collapsed to the pressures of typhus, but the coughing of the aged, the heaving for breath that never seems to come. Giovanni already had a plot in the cemetery waiting for him. Some of the wealthier townspeople did. It sat empty, longingly, beside his wife’s grave. Rosanna wondered if Mayor Cesare would force her grandfather to give up his plot, such prime real estate. Two weeks passed since Mayor Cesare’s announcement. Nobody had broken his law yet, and while the initial whisperings about it seemed to die down, an uneasy silence had fallen on the small village, like everyone had a secret—their mortality. Rosanna began visiting the cemetery at night. It was the only time she could find the place empty, and she wanted to spend time with her family without the noise of the suddenly pious or the morbidly obsessive. An Englishman drifted into Rosanna’s village. As if swept out of England in a storm and carried into Italy to dry off, he appeared in the middle of the night. He wore the uniform of a soldier, the blood of one wounded, and the guilty face of one who had fled. Rosanna found him, alone in the graveyard, half shielded by a headstone, sleeping fitfully. He awoke to find her staring at him from above. He was startled by the brown orbs that seemed to float in the darkness. She helped him to his feet and supported him as he limped home with her. They exchanged names—Julian for Rosanna—in the cemetery, but did not dare speak in the street. They both knew the danger they faced if they were caught—a soldier abandoning his unit; a citizen harboring a criminal. She hid him in her bedroom, the farthest room from her grandfather’s. In the kitchen she dampened a cloth, found gauze for the soldier’s wounds. When she had finished, he squeezed her hand as a thank you. He kissed her fingertips and sent electricity through her body. She had not been touched like this by a man before. “What is this?” A voice came from behind. It sounded distant, small, and Rosanna thought it must have been a dream, a ghost. “Get away from my granddaughter.” The voice grew bigger, formed into her grandfather. He must have heard Rosanna and Julian come inside. Now he stood between the two, holding Rosanna back and pushing Julian away. “Please sir, she was only helping me. I’m wounded. I’ve fled Naples. I need protection,” Julian pleaded, but he did not speak their language. His words came out as desperate noises. Giovanni could only hear shouting. He recognized the soldier’s uniform as English, but he feared the stranger could be a German in a dead soldier’s clothing. He didn’t know what this man wanted in their small village, but even if he wasn’t the enemy in disguise, he must at least be a cowardly soldier fleeing from his duty, the same duty Giovanni had lost both his sons to. Julian didn’t need to speak the language to know he was not wanted. He grabbed his coat and left the home. Rosanna could not argue with her grandfather. He was the only person left in the world to her. She could only hope that the Englishman would wait for her. At first Julian stood alone in the street, but he knew he couldn’t stay there come daylight. He stumbled slowly through the town, attempting to return to the seclusion of the cemetery, but a group of villagers—angry men, fathers of dead soldiers, full of alcohol but thirsty for something more—crossed his path. Julian connected eyes with them and turned to run. But he couldn’t outrun them, not with the shrapnel in his leg. They overcame him in an alley. Somebody had a knife. A month passed. The body decomposed in the morgue as the villagers worried over other matters. Giovanni spoke less to his granddaughter. He returned to his workshop and started his dust-covered printing press. He spent late nights setting type for nothing in particular, and he had to restart often because he had mixed up the letters. He had begun a slow descent into senility, mixing up the H’s and the N’s, calling Rosanna Rosa, his late wife’s name. Or maybe he was talking to that ghost, Rosanna could never tell. Then the typhus returned to the village as an aftershock, sneaking in on the backs of returning soldiers. This time it swept over the small hospital where the wounded soldiers were treated. In its rampage, it took a dozen young nurses who had been caring for the sick and wounded. They were carried from the hospital in white sheets. Rosanna watched the parade along with the rest of the town. A sheet slipped off one of the girls and Rosanna thought she looked like a sleeping beauty, peaceful. “It’s because we didn’t properly bury the soldier. Every day that his body rots in the morgue, our town rots with it. Our town is cursed, and you know it, Grandfather,” Rosanna said over dinner. She had been coughing a lot that day, hadn’t left the house. Bodies were piling up in the morgue. Mayor Cesare had threatened to fine the families of the dead girls, the lawbreakers. “The soldiers who returned from the East African campaign brought the typhus back with them, Rosanna,” Giovanni corrected her, quick to crush her superstitions. She was just like her grandmother. Giovanni agreed, threatened by the idea that his stubbornness could cost his granddaughter’s life. He gave up his plot in the cemetery. Mayor Cesare, feeling like a fool for issuing a law that was so quickly, so forcefully disobeyed, did not know what to do for his town. The morgue was full of the bodies of young girls, barely adults, some still teenagers. He held an emergency meeting with the other town leaders and they came up with the only temporary fix for their long-term problem. The mothers protested. It was unbecoming for unmarried men and women to lie together. Their virgin daughters had remained pure in life. Why should they be tainted in death? Mayor Cesare offered them cremation as an alternative. The mothers chose the mixed burial because they couldn’t imagine their daughters, their beautiful girls in lace, their children, reduced to ash. They stacked the bodies in pairs of twos—facing each other because that seemed more appropriate. Lovers in life stayed together in death. Rosanna closed her eyes and pictured them kissing in their grave, secret acts once hidden in bedrooms and dark alleys, now open to them forever in the afterlife. Stay tuned next week, when I’ll post the conclusion of my story. I promise there are ghosts in that part. Previous Post The End is Near! Thanks for the kind words, Greg. As a writer, sometimes it feels like you’re putting your words out into the universe and nobody ever sees them. It’s nice to know they’re aren’t floating out in outer space.